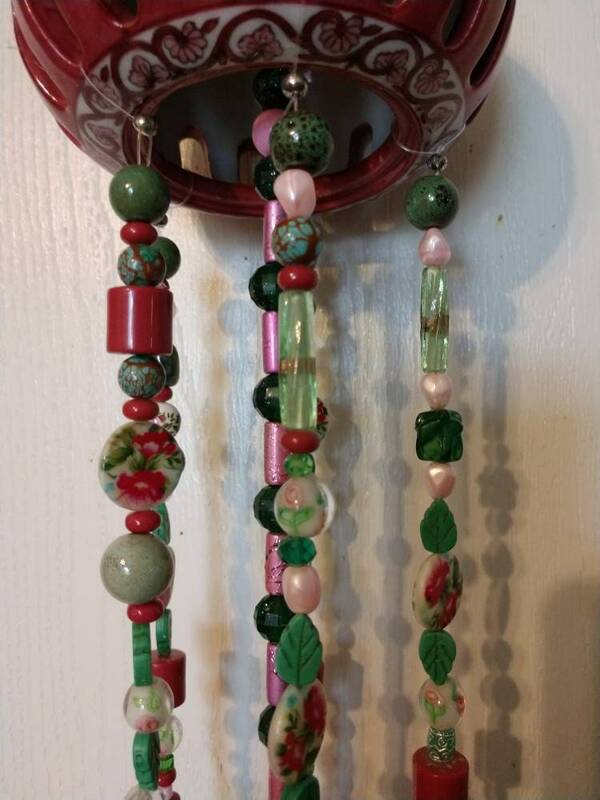 This pretty little wind chime is made from a vintage ceramic dish with dainty flowers and hummingbirds on it. 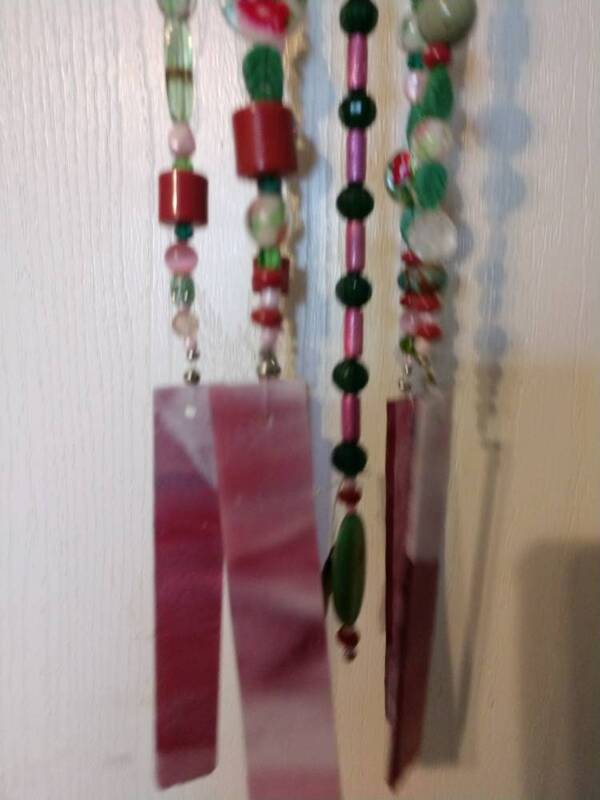 The beads used in this piece are glass, with some hand painted. 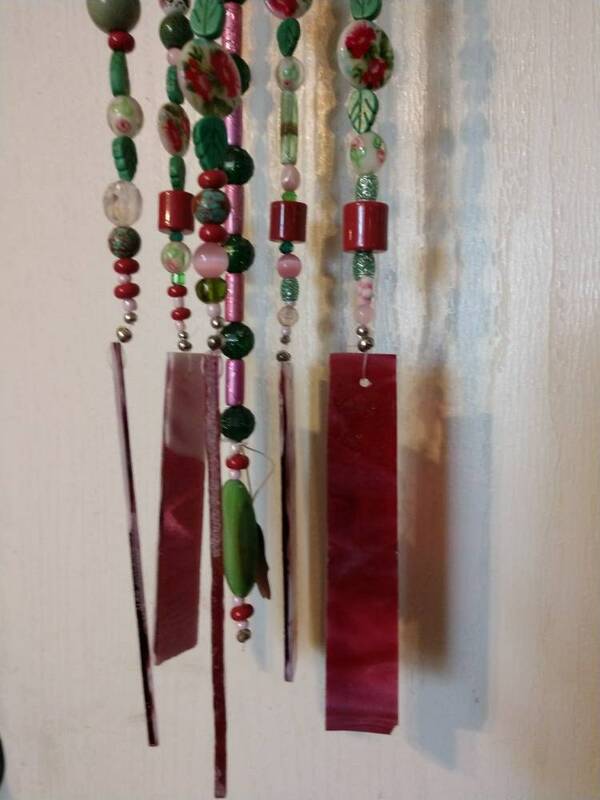 The center chime is a pretty green stone bead that complements the design.